"He who gets wisdom loves his own soul; he who cherishes understanding prospers." 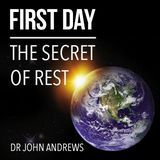 Dr John Andrews is a leader, teacher, motivator and author. Though called to the UK, John has ministered in over 30 nations of the world with a passion to equip and inspire leaders as well as empower followers of Jesus into effective lifestyle and service. available on Bible.com or in the Bible app. John has been in full-time Church leadership since 1987. Though called to the UK, John has ministered in over 30 nations of the world with a passion to equip and inspire leaders as well as empower followers of Jesus into effective lifestyle and service. After leaving Bible School, he helped pioneer and repurpose a church in the village of Havercroft, West Yorkshire, serving there from 1987-1997. From Havercroft he moved to Rotherham New Life in South Yorkshire, (now called the Hub Christian Community), where he helped repurpose that church into a vibrant missional community, serving from 1997-2012. In 2012 John joined the team of Renewal Christian Centre in Solihull, where he served as the Senior Associate Leader until the end of 2014. John also served as the Principal of the British Assemblies of God Bible College, leaving at the end of 2016. He is now part of One Church where he serves the team whilst also travelling extensively engaging his passion to teach the Word of God, inspiring a generation of Jesus followers to love Him and serve their world. A graduate of Mattersey Hall, he also holds a Masters degree in Pentecostal and Charismatic Studies from Sheffield University and a Doctorate from the University of Wales. He has authored thirteen books, Truthformation, Rest, Hope, Loved, Mission is Like a Box of Chocolates, Moving Beyond Mediocrity, Identity Theft, The real F word, First Day – Discovering the Freedom of Sabbathcentric Living, 2:52 – Learning to grow on Purpose, The Freedom of Limitation – Going beyond by Staying Within, Extravagant – When Worship becomes Lifestyle and his latest Beyond Broken – finding power in the pain. Born in Belfast, Northern Ireland, John is married to Dawn and together they have three children, Elaina (married to Dan), Simeon and Beth-Anne, not forgetting Pepperoni and Salami (the sausage dogs). John’s hobbies include supporting his beloved football team Liverpool, listening to music, reading and watching great movies. He loves to eat and among his favourite food groups are, Chinese, Thai and chocolate!! !